While the Volkswagen Cabrio is a great car, look out for these signs of transmission problems. If you own your own automotive repair business, you know it is necessary to build your customer base over time. It simple will not happen overnight. One of the best ways to build a solid customer base is to sell and install products that you truly believe in. This will instill confidence in your customers, leading them to spread the good word about your repair business. When it comes to replacing your customer’s automatic transmission, it is a well known fact that a re-manufactured transmission is a much better option than a rebuilt transmission. Many shops know this, but they don’t know exactly why it is better or how to let their customers know it is in their best interest to purchase a re-manufactured transmission over a rebuilt one. Let’s go into a little more detail on how you can explain this to your customer. Rebuilt transmission: A rebuilt transmission won’t include all new bands and clutches, along with new seals. They will usually only meet minimum specs and are not designed to last a long time. 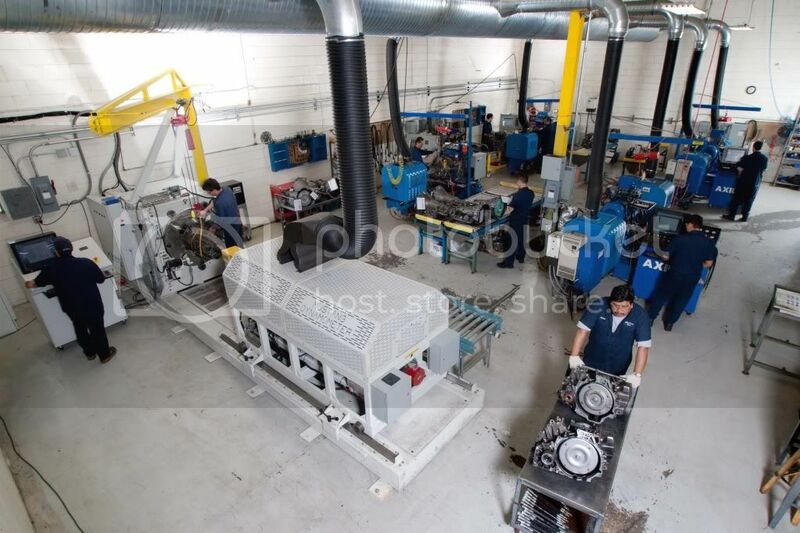 Re-manufactured transmission: a re-manufactured transmission will only include top quality bands, clutches and seals. This is because a re-manufactured transmission comes with a much longer warranty than a rebuilt transmission, and the company that re-manufactures transmissions designs their transmissions to be as good, if not better, than a new transmission. Rebuilt transmission: A rebuilt transmission will not include new hard parts or machining of the worn parts. Companies that rebuild transmissions simply don’t have the expensive machinery required to machine hard parts. They will only replace hard parts that are completely worn out, and when they do they will only take used parts from another donor transmission. Re-manufactured transmission: All hard parts in a re-manufactured transmission must meet strict guidelines and tolerances. If a worn part can’t be re-machined to a better condition, it will be replaced with a new part. Rebuilt transmission: Most places that rebuild transmissions can’t afford a test dyno and therefore do not pre-test their transmissions before you invest your labor. If there is a problem after the installation is completed, the transmission must be removed at your cost and returned to the rebuilder. Re-manufactured transmission: All re-manufactured transmissions are thoroughly tested on state-of-the-art computerized dynos that simulate real-world conditions. In the rare event that a problem arises, it can be fixed before it ships to your shop. You’re basically guaranteed that the transmission will work correctly if you install it properly. Rebuilt transmission: On average a rebuilt transmission comes with a 90 day warranty. 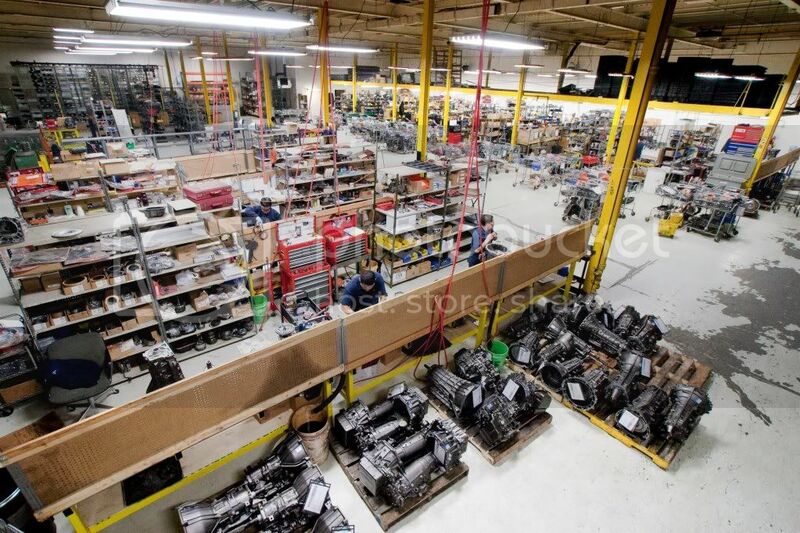 This allows the companies that rebuild transmissions to use lower quality, inexpensive parts because they know the transmission will be out of the warranty period by the time it fails. Re-manufactured transmission: Re-manufactured transmissions, such as those built by ETE Reman come with a three year warranty. That’s 12 times longer than the average rebuild. Companies that re-manufacture transmissions feel comfortable offering a warranty of this length because they only use top quality parts and components and rely on the best transmission personnel in the industry to assembly their transmissions. In the rare event that a re-manufactured transmission fails, they will pay you, the repair shop, to R&R the defective transmission. They will also cover any shipping costs associated with getting the old transmission shipped back and a new replacement transmission shipped out to you. Re-manufactured transmission: Re-manufactured transmissions include modifications designed to make your transmission stronger, more durable and last longer. Companies like ETE Reman have a hotline in the rare event you run into any issues with your transmission, or simple have a question before placing your order. They are always there to support you. You now are better equipped to teach your customer why investing in re-manufactured transmission over a rebuilt one is a good decision and in their best interest. They should feel confident in knowing they are getting the best possible product. Sooner or later, due to high mileage or abuse, you will be faced with a decision to replace your customer’s transmission. I highly recommend doing so with a re-manufactured transmission over one that was simply rebuilt. A re-manufactured transmission comes with a much better warranty; three years compared to an average 90 days for a rebuilt transmission. In the rare event that you need to contact the company that re-manufactures transmissions, they are just a quick phone call or email away! If you’re familiar with clutch replacement jobs, you know that most of the time you simply replace a worn out clutch disc with a new one and down the road you go! But today, I would like to discuss with a couple important factors about clutch discs that you should keep in mind. Although our blog is typically about the transmission side of the business, this advice can be used by any repair shop. In today’s market it takes a lot to have your business stand out from the rest of the repair shops in your area. You need to really think outside of the box when it comes to promoting your services. That’s why I recommend you host a car show at your place of business. Sooner or later the time will come (if it hasn’t already) when you have to replace a transmission in your customer’s vehicle. Your time is money. Having the proper tools in place will make the job quicker (more money for you!) and safer. Having the right tools for the job is important no matter what type of work you are doing. A surgeon needs his scalpel, an IT expert needs his applications, and you also need tools that were designed to make the job easier (presuming you have the basics at hand). Good parts are hard to come by these days. A lot of auto parts are manufactured in countries that are hostile towards America, and the ones that aren’t hostile, still use cheap materials that tend to break. When you get a customer in your shop chewing off your ear about transmission woes, you need to prescribe something that will give them peace of mind. What you want is a transmission that is built right here at home in America that will far exceed your expectations.